Just one sketcher from Stockholm this time around! I am sure there will be lots of eager sketchers next crawl. 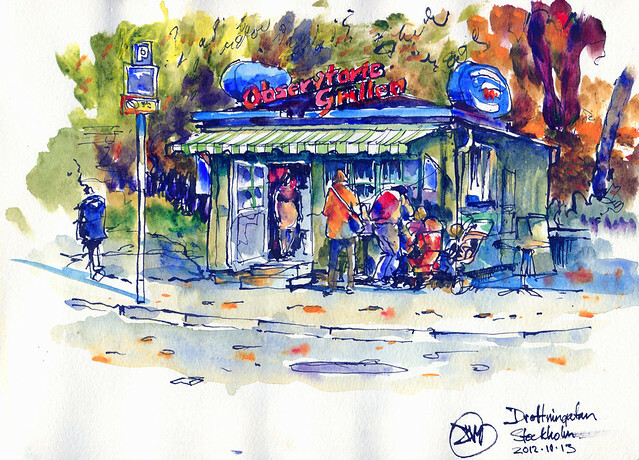 I Started off in the centre of Stockholm on Drottningsgatan and sketched a hot-dog restaurant. 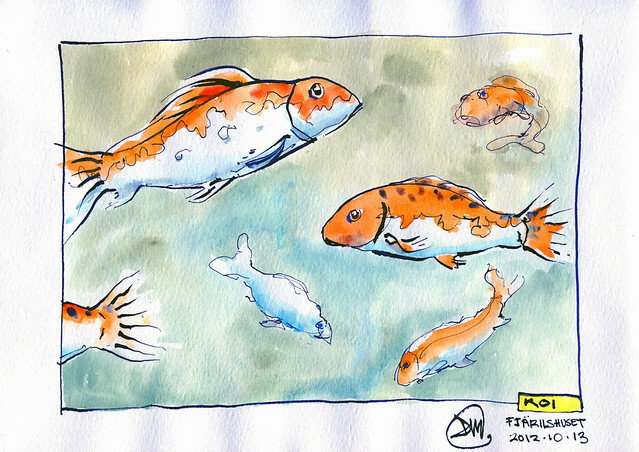 I then visited The Butterfly (Fjärilshuset) House 10 minutes north of Stockholm in Hagaparken, it was very crowded so I chose to sketch the Koi fish instead of butterflies in a more quiet corner of the centre. 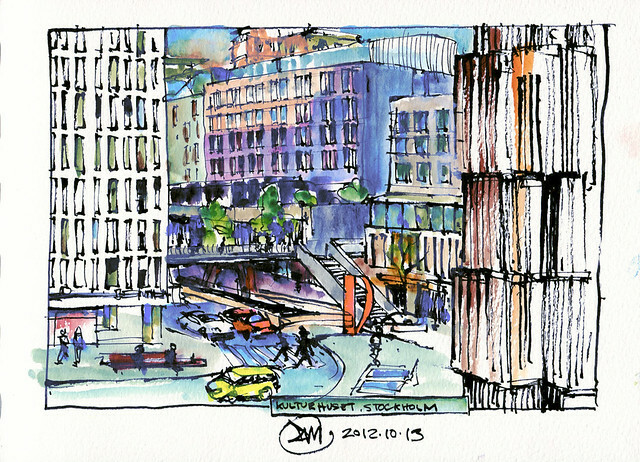 Later I went back to central Stockholm and sketched the view from the Culture Centre (Kulturhuset). It was a sunny but cool day, I had a enjoyable and relaxing day. I love you powerful colors results Stockholm ! So colourful..I like the fish! Beautiful sketches! I especially like the one of The Culture House and the way you have the focus in full saturated colour with uncoloured areas around it. Creates a very pleasing contrast. Wonderful sketches, light and coloured! Nice good drawings and colors. I would have imagined Stocholm a bit cold but your colors warmed it. Beautiful vibrant sketches!!! Nicely done!